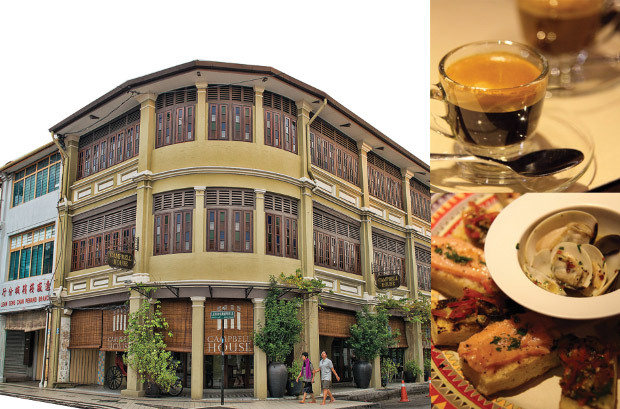 Home Penang Attractions Penang Heritage Cafes that You Must Go to Visit! 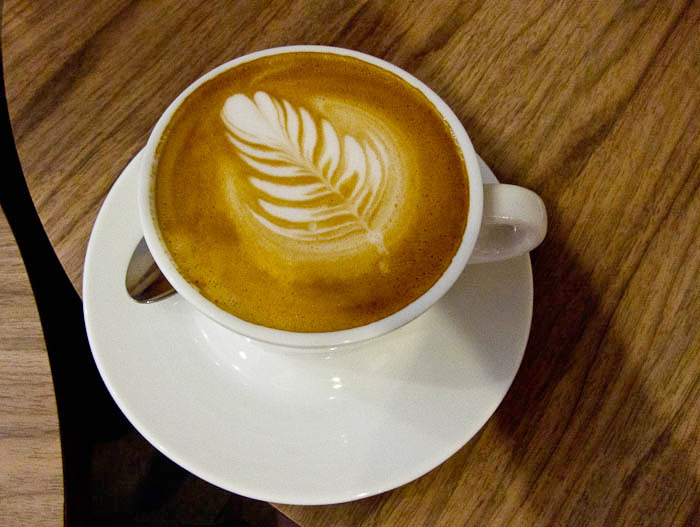 Nowadays people likes to enjoy coffee while chit-chatting with friends or dealing with business partners. 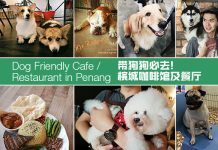 Penang, the pearl of the orient not only famous with wall painting, foods but now with various of Heritage cafes that serve nice coffee too! 29 of the Heritage cafes below, have you visited all of them? 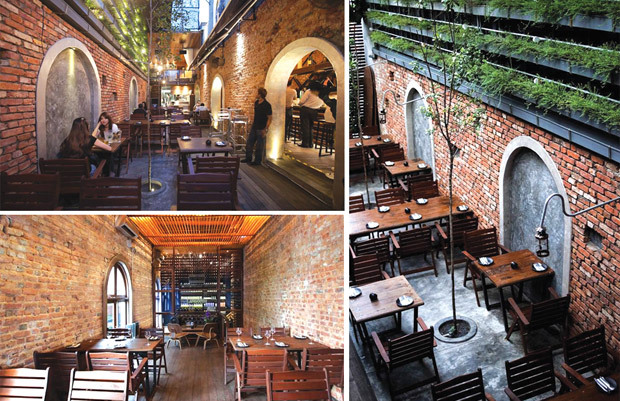 Integration between vintage and modernity along with a serene environment are what you can find here at Patio. Sitting elegantly in the heart of the busy Penang Street, this exquisite hideout offers a comfortable and calm setting to its customers. Presenting 6 different layouts, customers can indulge in an alfresco setting of urban courtyard, terrace lounge or the indoor diners. So come and experience the beauty of Patio and its Spanish food today and grab a 15% discount voucher that is valid for a month. 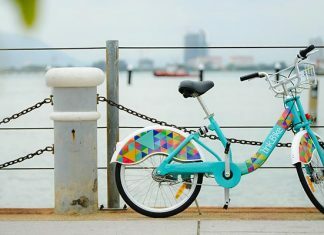 Address: 49F, Weld Quay, 10300 George Town, Malaysia. Taking advantage of the historical events and the majestic happenings of ancient times, Muntri News is fully transformed into becoming one of the most luxurious but economical accommodations in Penang. Having a serene setting, this secret getaway offers excellent local delicacies and aromatic international cuisines, which will definitely hype up all your dining senses. So what are you waiting for? Come by today and enjoy what the fun Muntri Mews has to offer! Also, stay tuned for the voucher giveaway soon! 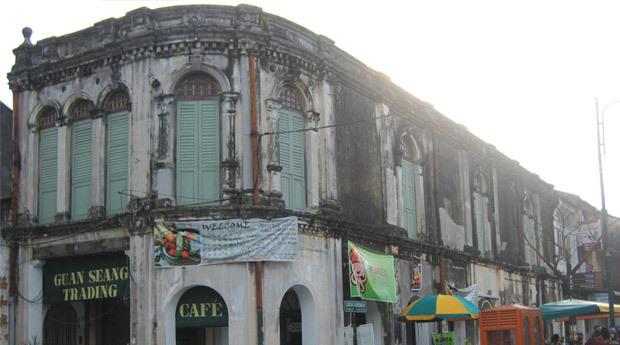 Address: 77, Muntri Street, George Town (World Heritage Site), 10200 Penang, Malaysia. Coffee craze is everywhere, and to bring forward the uniqueness and beauty of this delicate savory, Coffee Lane offers the best black coffee in Penang. The motto ‘coffee should be Freshly Ground, Freshly Brewed, and Freshly Served’ is what makes this coffee heaven popular among the locals. Sweet aromatic coffee sense will greet you as you enter this coffee sanctuary. So if you wish to grab an excellent cup of coffee, come by today! 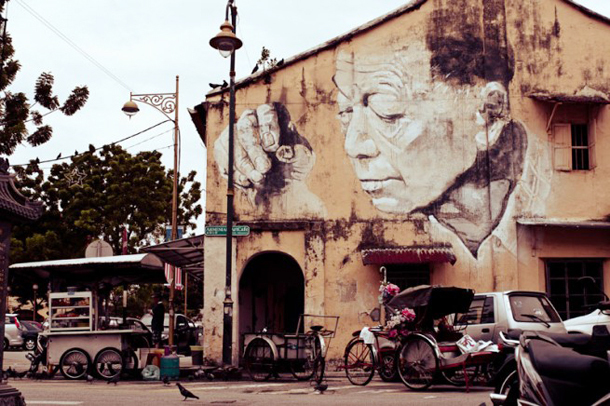 Address: 10 B, King Street, George Town, Penang. A unique Mediterranean inspired sanctuary that is furnished with great heritage with a hint of modernity is what 55 Café is all about. 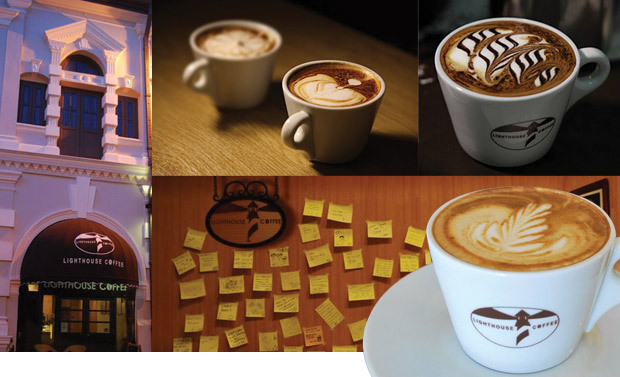 Besides serving exquisite tapas, 55 Café also offers awesome 3D art coffee, which is what draws coffee lovers here! Many swarm into this place just to have a glimpse of the remarkable coffee art and of course the fine quality coffee blends. You might also land yourself some F&B vouchers during your visit here, so come by today and experience the unique dining journey at 55 Café. 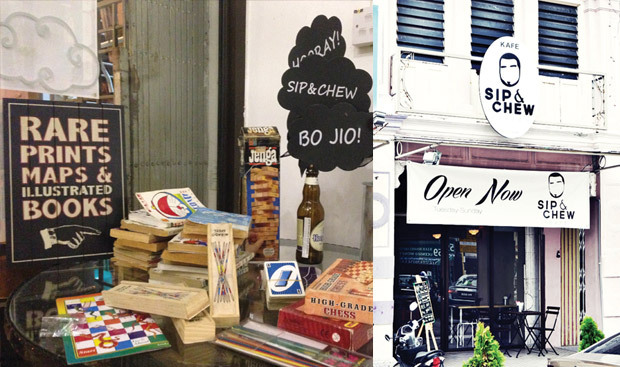 Address: 55, Lorong Stewart, 10300 George Town, Penang. Bringing the fusion layout to an extra hype by combining both culture and modernity under one roof is what you can find at Gala House. Housing a Volkswagen car in its core, it acts as a perfect spot for photography. Moreover, the ideology of this remarkable heaven is made based on spices, herbs and zero Ajinomoto. Customers can dig into the must try Kimchi Salmon Spaghetti, Gala Steak, and Orang Kaya Coffee while enjoying the top-notch services in a comfortable environment. 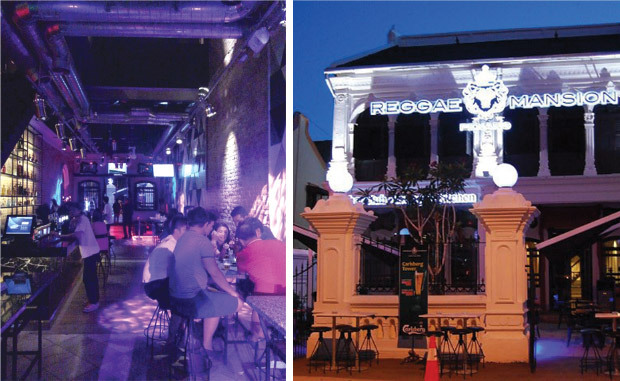 Somewhat like Hardrock Café of Penang and taking note of the live band crave of the locals, Reggae Mansion offers not only a dining spot but also a bonding land for friends and colleagues. Tucking in the signature Bratwursi sausage, Midori Illusion, or steamboat dinner, you can also enjoy the soft melody of the live band inside. Offering various packages and promotions, this street art kitchen & bar is an awesome hangout place which is air-conditioned and relaxing to be in. Address: 381, Chulia Street, 10200 George Town, Malaysia. Il Bacaro is where you can find everything Italian under one roof. 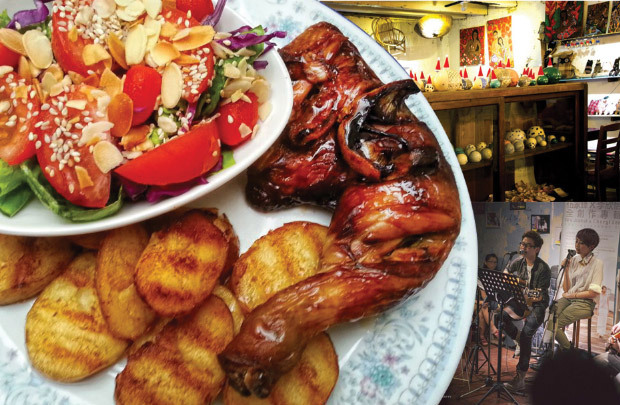 Offering authentic Italian cuisines from breakfast to lunch, snacks, drinks and dinner, the Italian head chef creates exquisite and unique Italian dishes that cannot be found anywhere else in Penang. Featuring a home style dining experience that is near nature, customers can feel the warmth of the owner that makes each visit a memorable one. 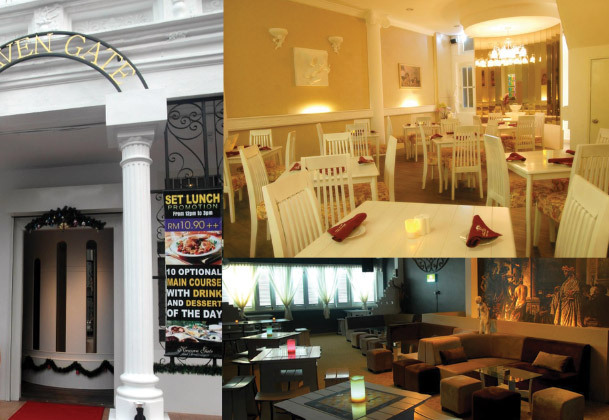 So hop into this old style charm today and enjoy a pinch of modernity along with fine Italian cuisines! 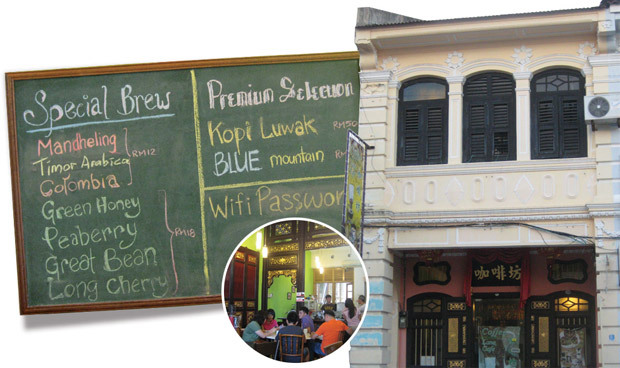 An interesting café that has something exciting (having your mug shot taken without being arrested) to offer is known as The Mugshot Café in Penang. Housing not only some awesome homemade food and beverages that are fine in quality, this café is famous for its recycled furniture. 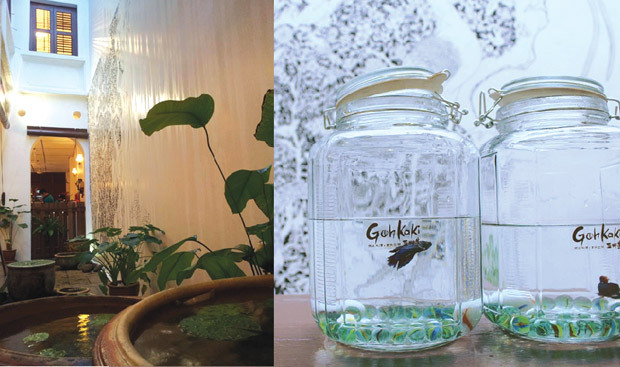 Being an environmentally friendly café that supports recycled products, the café is furnished with exotic fittings and fixtures, making it a great photography spot for many. Yummy delicacies are also what make customers feel the value for money. Address: 302, Chulia Street 10200 George Town, Malaysia. 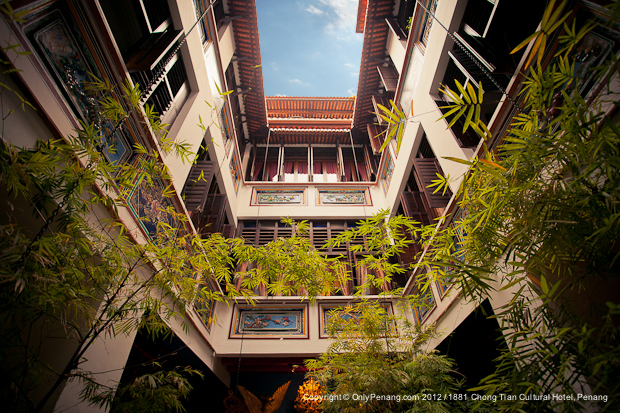 Sitting calmly in the heritage town of Penang, the Cintra Heritage House is a marvelous hangout spot for many. 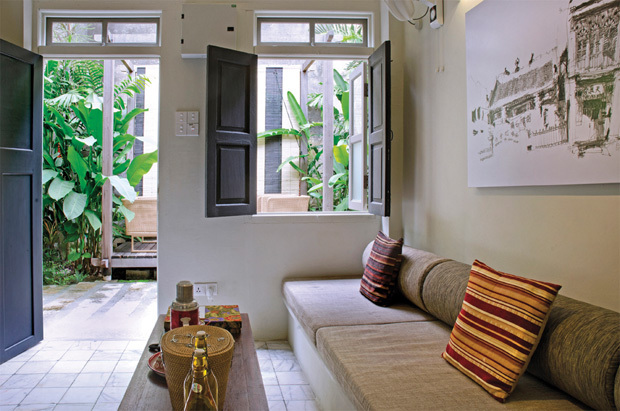 Emphasizing on the cultural senses, the traditional interior is what makes this place charming. It serves fusion cuisines of western and local dishes; customers can hide away and enjoy their yummy nibbles in this comfortable and serene land. 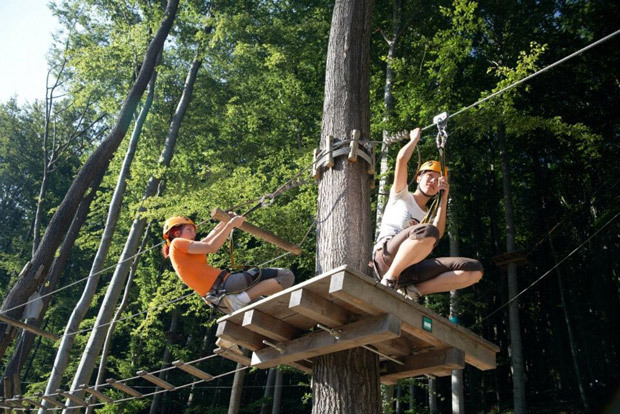 What’s more, located just next to a boutique hotel, it is easy to find and reach! So come and indulge in the traditional mood with Cintra Heritage House today! Address: Lot 1,2,5,7, Lebuh Cintra, 10100 Penang. Good news for all sweet toothers! 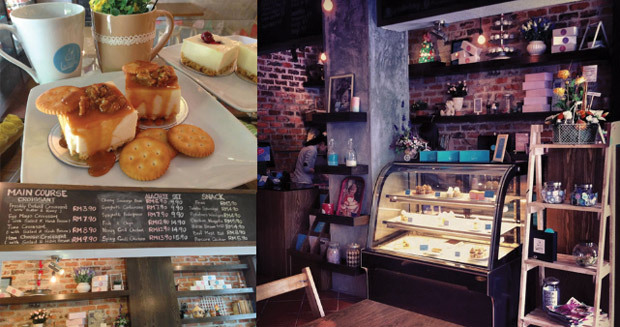 There is a new spot in the core of Penang offering great cupcakes, macarons, pastries, coffee, tea and some simple western nibbles which are great for afternoon tea sessions! La Vanille is a dessert heaven where you can enjoy a whole different sweet sensation, as it provides customized desserts based on customers’ preferences as well as top-notch homemade food and beverages. So come by today and stand a chance to grab cupcakes and macarons vouchers! Address: No 122A, Jalan Hutton 10050 Penang, Malaysia. Coziness and comfort are what many are looking for in a dining experience, and here at Brew Thirty Two, such search is possible. Featuring home like environment that serves great coffee, excellent burgers and spaghetti, Brew Thirty Two is the perfect place for bonding and gathering. Famous for its teatime crowd, many swarm into this little heaven just to have a little chit chatting moments with their loved ones. So hop by today and you might be surprised by the mystery coffee drinks from the owner himself! Address: No.32, Jalan Green Hall, 10200 George Town, Malaysia. The hottest dining experience + chic and fresh, coupled with classic Spanish food that is beautified with exquisite and unique cooking style are what you can find here at EL Faro. The open kitchen concept enhances the interaction between the main chef and its customers. 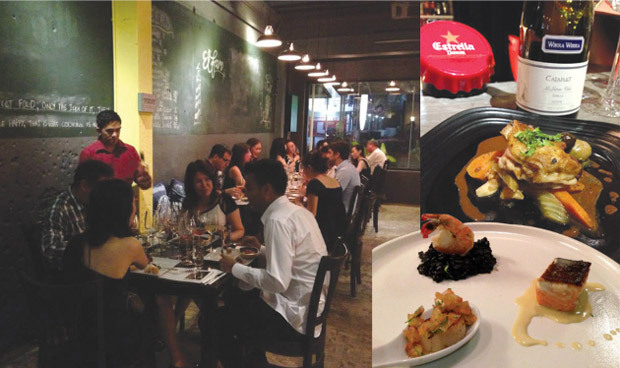 Featuring a casual yet comfortable setting with awesome tapas food, EL Faro is known to be the true beat of Penang town, which clearly displays the sharing and caring idea under one roof! Address: 231, Jalan Burmah, 10500 Penang. 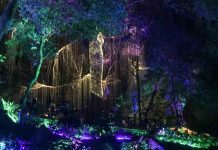 Chai Diam Ma is a secret hideout that is exotic and interesting unlike any others. Offering a playground which has a strong sense of heritage for art lovers, the mood of this humble dining spot is rather surreal; a wonderland for those who love music, concerts, etc. While enjoying the display of unique fittings and fixtures, you will be served with the most creative dishes that are not only yummy but pretty to the eyes. 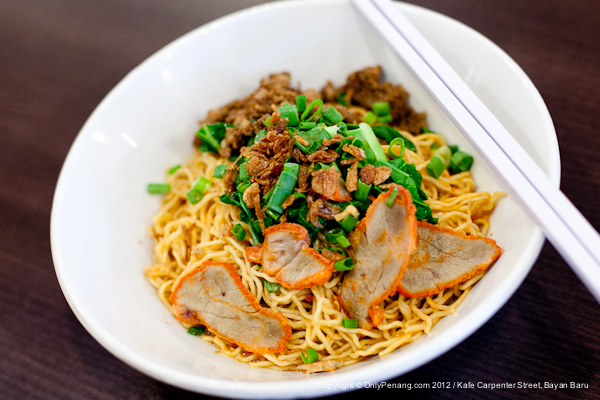 So come by and experience this unusual and exhilarating dining journey with Chai Diam Ma. Address: 15 Lebuh Queen, 10200 George Town, Penang. What does a café got to do with bicycles? You will find out when you come by the Tofu Café Beds & Bikes, the only café in town that offers 10% discounts to anyone who visits it on a bicycle. Serving homemade delicacies from specially made soups to handcrafted cheese muffins and marshmallow brownies, this is a serene spot for you and your loved ones to gather and hang out. 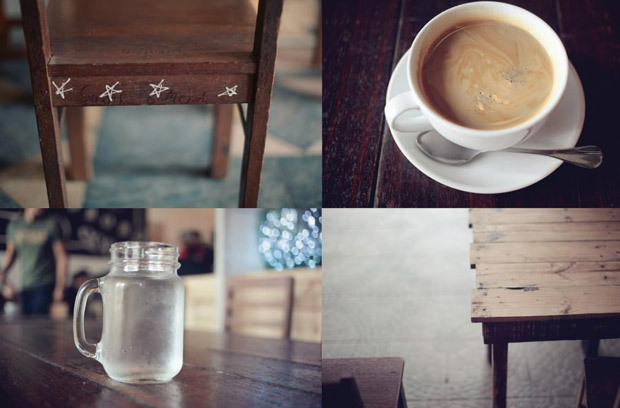 To enhance the moment of togetherness, this humble café also provides a great spot for photography with its unique and special decoration. You will truly be amazed with what it has to offer, so come by and have a look yourself! Address: 484, Lebuh Pantai (Beach Street), George Town 10300 Penang, Malaysia. 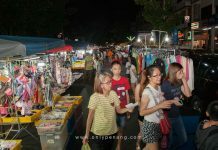 Goh Kaki presents you the best family bonding hotspot in the heart of Penang. 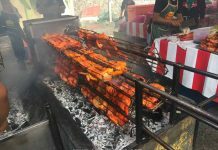 Serving the most authentic and mouth-watering delicacies from yesteryears, the awesome and exciting childhood games of your parents or grandparents can also be found here. The traditional hideout emphasizes on the ideology of ‘乡土风情’ (country setting) and offers a comfortable and serene environment for children to dive into the childhood memories of their parents and grandparents. So to indulge in such fun experience, come over today! 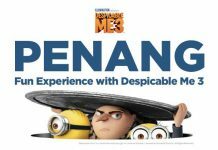 Address: 34, 36, Lebuh Bishop 10200 Penang. 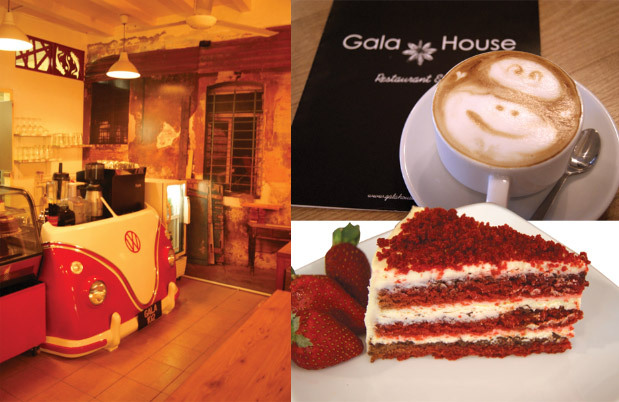 Give way to the first ever shop house in Penang, the Edelweiss Café. Being 150 in age, some of its fittings and fixtures are as old as 2,000 years. 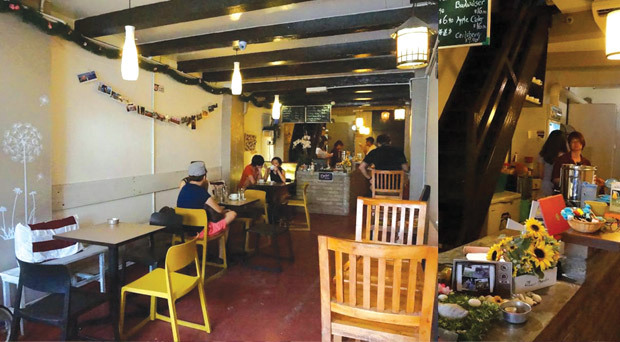 Preserving the originality of Penang’s heritage, this ‘ancient café’ serves as a mini museum where tourists can have a great look at Penang’s history. The owner, also a tour guide herself, often offers tour information to foreign tourists, and during the whole chit chatting session, you can indulge in yummy home recipe delicacies as well as imported beers along with free dessert vouchers if you spend a minimum of RM30 in a single bill. So come by and relive the dining experience of yesteryears here! 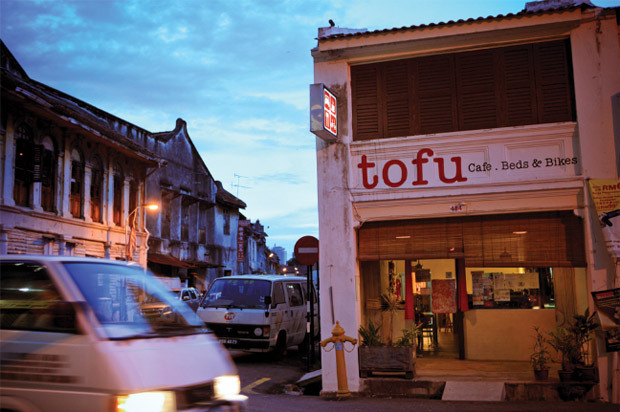 Address: 38, Armenian Street, 10200, Georgetown, Penang. 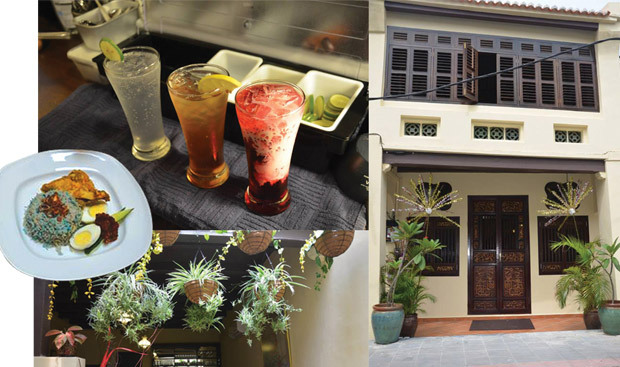 Sip & Chew Café that promotes the dining mode of sipping a drink and chewing on food is proud to bring you on a heritage and cultural journey to the rich legacy of Penang Island. 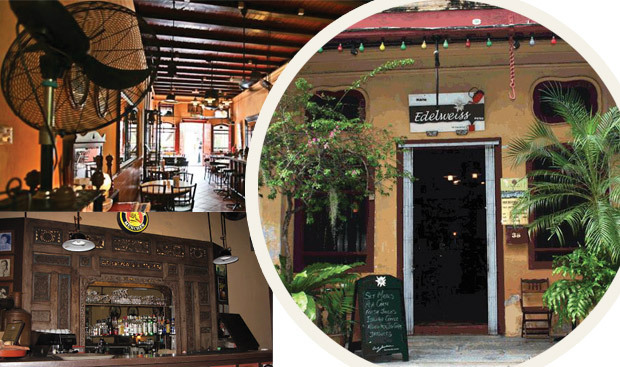 Aiming to revive the rich tradition of Penang, this hideout is great for hanging out. It serves excellent western cuisines, and best of all is the highly demanded Happy Potted Plant dessert that can hype up your whole sweet sensation. For a more down-to-earth dessert, the mille crepe cake is a perfect choice. Flavors differ each week, so hop in to enjoy the surprise Sip & Chew Café has to offer! 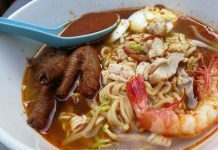 Address: 72, Jalan Masjid Kapitan Keling, Georgetown, 10200 Penang, Malaysia. The creation of Myrate is done by incorporating art into the café. 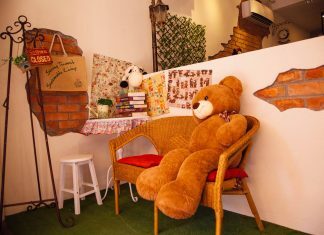 Home to a great series of photos from renowned photographers and handmade baby shoes of TedBE, Myrate is a great relaxing spot for you to unwind and just chill for the whole afternoon. The calming effect of the environment will enhance the whole dining experience, making each mouthful of delicacies the yummiest ever. 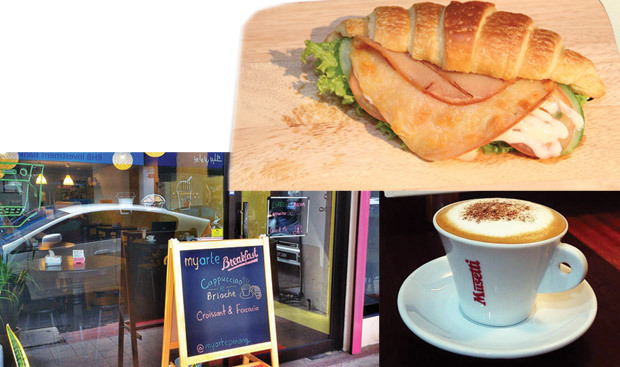 Serving sandwiches, pastries and the all time famous Café Musertti from Italy, the café also offers buy 1 free 1 deal for hot drinks. Address: 75, Lebuh Bishop, 10200 Penang, Malaysia. 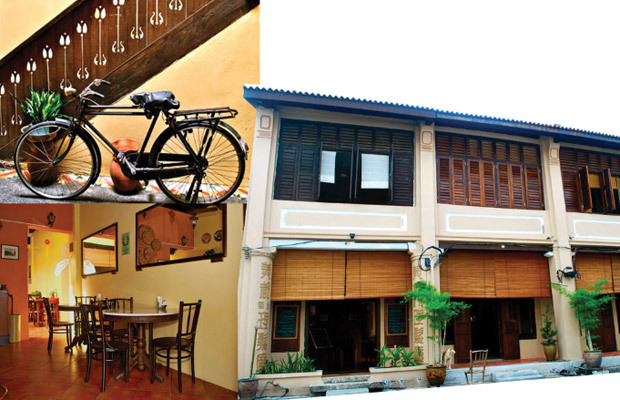 Taking advantage of the strong Peranakan culture of Penang, Jawi House was born. 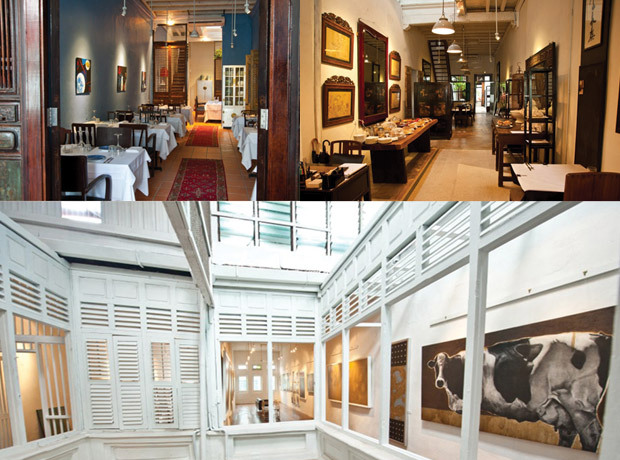 Featuring Jawi Peranakan food which is cooked with home recipe along with unique and exquisite homemade desserts, Jawi House serves the most authentic Nyonya cuisine around town. This modest home is furnished with a mixture of Nyonya Peranakan and Chinese interior, truly an amazing architecture that cannot be missed! So come by and dig into the great aromatic spices and unforgettable savories today! Address: 85, Lebuh Armenian, 10200 George Town, Penang. A laid-back and humble sanctuary for students to hide away for the weekends, a true sanctuary for those who love reading and writing, as well as a great dining land that offers unique savories are what Flash Back has to offer. Featuring a cozy yet serene environment, most of the visitors come here to unwind and get a bite of its renowned specialties, the fried ice cream. If you are lucky, you might also get vouchers for free French fries here! So come and explore this amazing spot soon! Address: No. 41 & 43, Lebuh Acheh 10300 George Town, Pulau Pinang. 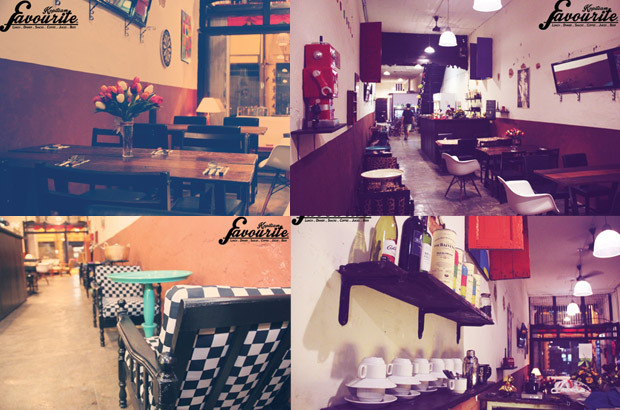 Transformed from an old fashion hangout spot to a chic chilling location which is incorporated with sprinkles of art is what best describes Favourite Café. A great transformation that also brings out the ancient mood coupled with yummy homemade fusion food of Japanese and Western will leave an unforgettable mark on your memory. The magical dining sensation will linger in your mind for as long as it takes, and if you hop by today, you might also get cheesy fries and 10% discount vouchers! So be quick while it still lasts! Address: 205, Beach Street 10300, George Town, Pulau Pinang. 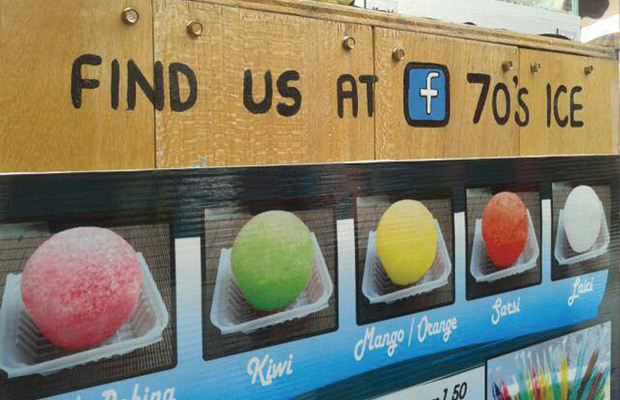 70’s Ice, a true believer that ice too can bring happiness to people’s lives offers the most authentic flavored ice in Malaysia. The idea behind the creation of ice pop is to bring a nostalgic sense back to the modern life. During a sunny day, the Ice Pop also acts as a perfect-thirst quencher, as the cooling stir will linger in your mouth and throat, soothing your warm body. Come by today, you could request for a blend of your own taste, or choose to experience its signature dishes with extra interesting flavors to challenge your taste buds. Address: 78, Lebuh Armenian, 10200 George Town, Penang, Malaysia. 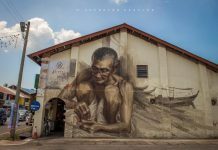 Soohongry, an interesting ground with an interesting name is a remarkable hideout from the busy streets of Penang. 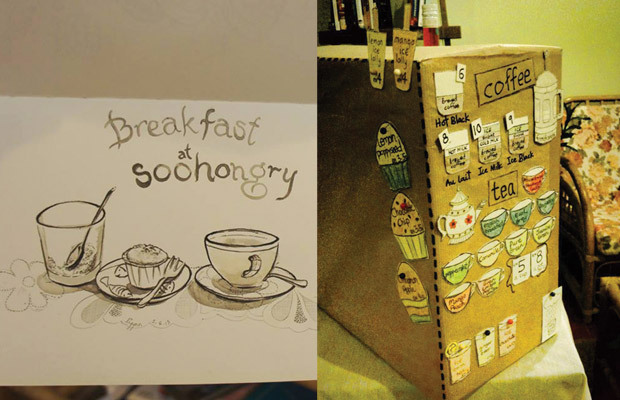 Without exaggerating the beauty of its bakes (muffins, cookies, tarts, etc), coffee and tea, Soohongry allows friends, family and soul mates to gather and enjoy an afternoon tea or just for a small heart-warming celebration. Visitors who have a sweet tooth and love to indulge in exquisite and delicate afternoon tea will also find comfort here. As for newcomers, vouchers on muffins will be given out if you are quick! So come now! Address: 29, Lorong Soo Hong 10200, George Town, Penang, Malaysia. 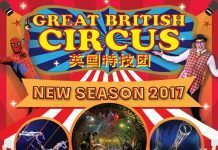 China House offers you the chance to reattach with your past. Being a traditional compound that is made out of 3 heritage buildings, with an open-air courtyard, you will be truly amazed with the 14 different spaces that are in it! Sitting calmly inside the UNESCO Heritage of Penang, many swarm into this interesting heaven just to get a piece of the delightful treats, its famous bakes. Upon arriving, you will be greeted with a long row of cake selections, which will bring a tingling sensation to your whole dining experience. Address: 153 & 155, Lebuh Pantai and 183B, Lebuh Victoria, 10300 George Town, Malaysia. There is a new place in town that can satisfy all your coffee craves, and this amazing coffee land is the Lighthouse Coffee Bar. The signature blend of this café brings an interesting mixture of fruits and coffee in a cocktail glass. Adding onto the fascinating journey of coffee, the café serves an attractive series of coffee from Single Origin on Siphon Coffee Maker to the authentic Italian Coffee Blend. The remarkable fragrance that filled the air is what welcomes and lures you to stay longer with its ancient setting. 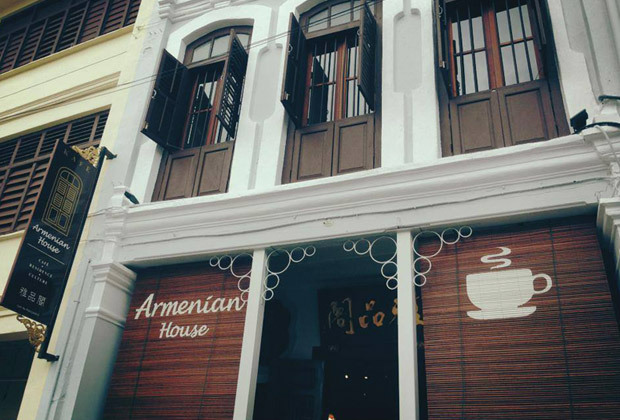 Armenian House features one of the best and nicest coffee blends around George Town Penang. Housing not only as an awesome breakfast place for tourists, Armenian House is also an amazing accommodation spot that brings a different staying adventure to its visitors. Upon stepping into the heart of Armenian House, a strong yet beautiful aroma is there to greet you. Another luring factor here is its simple homemade breakfast sets. 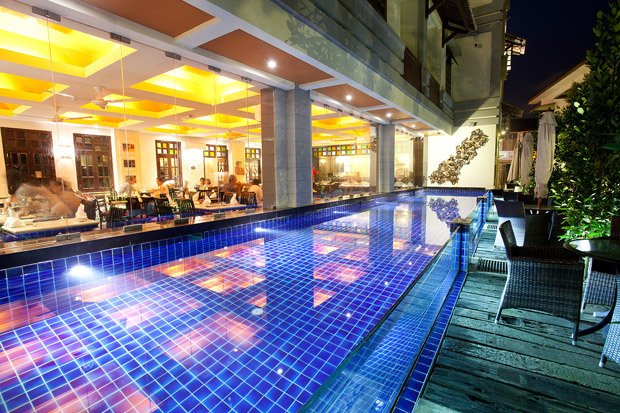 Lastly, the friendly ambience serves to enhance the togetherness between family members, friends and even lovers. 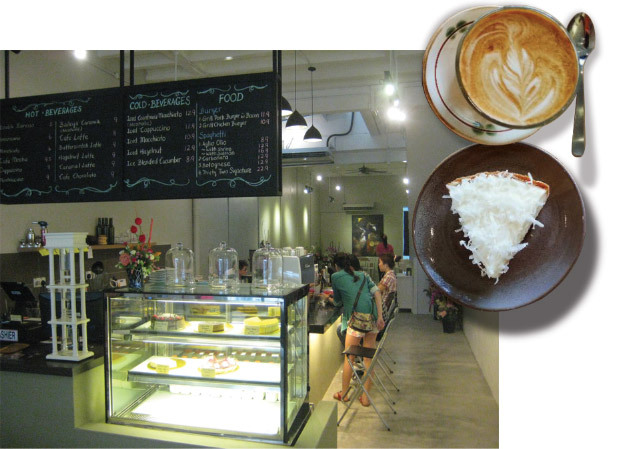 Address: Address: 35, Armenian Street, 10200 George Town, Penang, Malaysia. 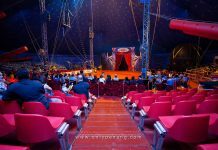 Taking glory of the majestic sense of the Roman Empire, Heaven Gate is a combination of fun, exciting and stimulating wonderland that wows many. You will first be greeted by the beautifully crafted gate upon arrival, somewhat like the gate of heaven that many dream about. After crossing the majestic gate, a utopia awaits inside! With the simplicity and exclusiveness of fusion cuisine, you will have the chance to indulge in mouth-watering chops, pasta and amazing thirst quenchers at a reasonable price. As for beer lovers, this is a great hangout spot with awesome deals! Address: 1A, Lebuh King, Georgetown, 10200 Penang, Malaysia. 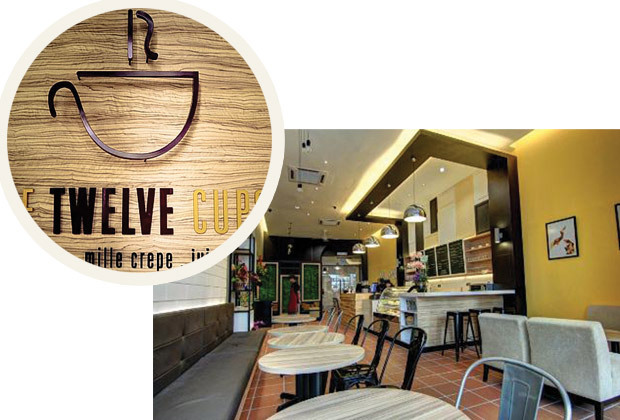 An eye-catching wonderland that is made out of European fittings and fixtures is what you can find here at The Twelve Cups. 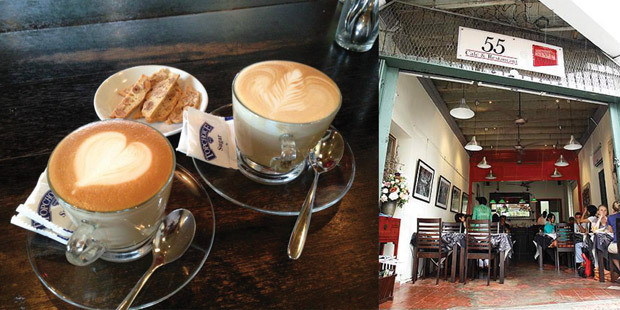 Aiming to cater for the benefits of vegetarian lovers, the café solely serves vegetarian food with awesome coffee! Serving up to 10 variations of handmade mille crepe cakes from Hokkaido flavor to Chocolate and Tiramisu, you will definitely find something you like here! Although serving only tea time savory, coffee and tea for the moment, it acts as an amazing hangout spot for catching up! Address: 6B, Beach Street, 10300 Georgetown, Penang, Malaysia. Having the long history since the early 20th century, this friendly café was a clinic back in 1935. Today, being the café that serves only local delicacies, visitors can indulge in Cendol, Ice Kacang, Nyonya kuih, etc in this old yet interesting place! Also, for an experience down the memory lane, Guan Seang is furnished with simple antiques from yesteryears, which makes it picture perfect for visitors that loves photography. Not only a site that is strong with heritage, it is also warm and cozy to be in, truly a serene land that many love. Address: 266, Lebuh Pantai 10300 George Town, Penang.